Long-suffering archaeologist Lara Croft has finally gotten away from Microsoft, and Rise of the Tomb Raider is clambering onto PC. It’s good! You’ll probably like it quite a lot if you enjoy snow and murder and grave robbing, and let’s face it, who doesn’t? But has its weird, temporary captivity at the hands of Microsoft made the PC port worse off? If you’re looking for our full review of the game, head on over to our Rise of the Tomb Raider PC review. 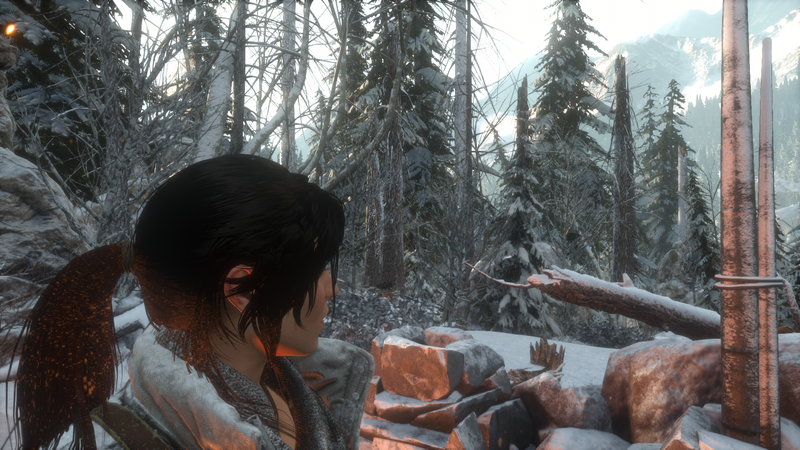 Despite the exclusive deal that kept Rise of the Tomb Raider on Xbox One last year, the PC version doesn’t seem to have suffered for it. Indeed, the extra time may have been a boon, because this feels like every bit the PC game: it’s a bit prettier than its console counterpart (and only a bit because it already looked very impressive on Xbox One) and is full of PC-specific graphics options. 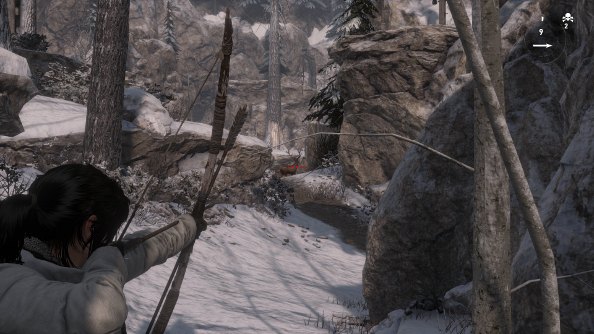 Rise of the Tomb Raider’s minimum system requirements are very attainable, hinting at the game’s flexibility. It’s not a particularly pretty sight on the absolute lowest settings, but at least there’s not a great big wall stopping you from running it on your ancient rig. For those who have thrown a bit more cash at their PC, then there’s fancy 4K resolution support and plenty of bells and whistles to keep you feeling like you made a worthwhile investment in your supercomputer. 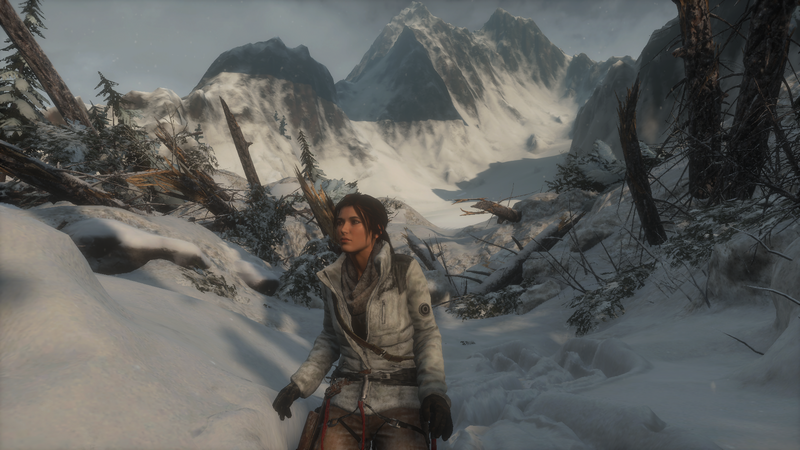 Lara’s latest brutal, chilly adventure is gorgeous. Crystal Dynamics have an excellent eye for environmental design, and they’ve not held back here. Tombs, forests and mountain ranges are all rich in detail, from the stunning, oasis temple in Syria to the sparkling snow drifts of Russia – it’s a sumptuous game. It’s full of places that just beg to be explored, and all that eye candy makes it even more enjoyable to scramble, dig and climb around looking for lots of shiny treasure. 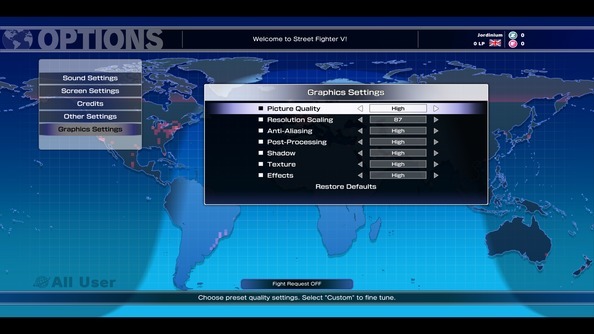 In the graphics settings menu, you can fiddle around with a robust list of options – 16 in total – from the ubiquitous texture quality to things like vignette blur and lens flares. More, including anti-aliasing, can be found in the separate display menu. Crystal Dynamics score extra points for including clear descriptions of exactly what these options change, if they affect performance, and if they should be avoided by those with weaker GPUs. Less convenient is the inconsistency of the options. Texture quality, for instance, can be set to low, medium, high and very high. Shadow quality, on the other hand, has no low option, as it is replaced by ‘off’. Tessellation can be turned on or off, but depth of field can be turned on, off or set to very high. If you aren’t interested in faffing around, don’t worry: there are four presets that you can choose from which offer broad changes, as well as a default setting based on your rig. In my case, the game defaults to high, which seems to be just right, because the game glides along at a smooth 60fps with only the occasional dip during cutscenes (the ones that aren’t locked at 30fps) while v-sync is running. With a bit of tweaking, I’m still able to get a consistent 60fps on even higher settings as well, so it’s worth fiddling even if you are pretty happy with the defaults. The biggest contributors to performance dips are things like shadow quality and anti-aliasing. Especially the latter. Even on the maximum preset, the AA is never set above FXAA, despite the presence of SSAA 2x and 4x, which are better off being left alone unless you’ve got a top-tier GPU with plenty of VRAM. To get the best performance, you’ll also want to switch to exclusive fullscreen mode. With regular fullscreen, performance dips with the higher settings seem to be more common. One of the main culprits when it came to performance obstacles in the last Tomb Raider was, bizarrely, hair. TressFX, AMD’s fancy hair tech that promised to make hair appear more realistic but just as often made it look like a sentient monster that had glued itself to Lara’s scalp, had the potential to tank the frame rate. In Rise of the Tomb Raider, this has been replaced by PureHair, which is an advanced version of TressFX. It looks a lot better, significantly less wild, and comes in two levels of intensity. Turning it on only costs me a few frames, though pushing it up to very high has a greater impact. Still, the performance cost seems a lot more acceptable, which is a welcome surprise given that I’m using an Nvidia card. With it on, it also means that Lara’s hair gets dusted with snow. You can see the visual impact below, with PureHair simulating individual strands of hair. 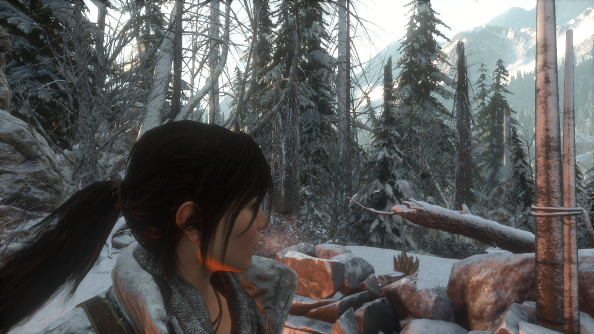 Even the lighting has an increased impact, and you can see how the glow of the fire interacts with the snow on Lara’s pony tail. Here it is set to very high. Ok, that’s enough hair for now. Let’s dig into the presets. The very high preset kicks every setting up to its maximum, apart from AA, shadow quality, sun soft shadows and PureHair. AA is set to FXAA, PureHair is just turned on, while the other two are set to high. The game is still very striking, clearly, and performs surprisingly well, despite most settings being above what Rise of the Tomb Raider decided was recommended for my setup. 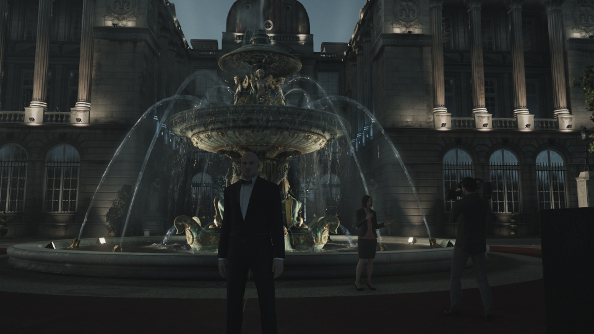 The frame rate fluctuates between 50fps and 90fps, but rarely gets much higher than 60. Reducing the level of detail from very high to high makes it considerably easier to get a higher, consistent frame rate. This is the preset that the game defaults to with my setup, and with this comes a consistent frame rate of 60 when capped. The visual downgrade from very high to high is insignificant. The reduction in texture quality is hardly noticeable at all, while the lower level of detail is only really apparent in tiny ways, like a missing branch here or there. It’s the dip in shadow quality that’s most apparent, and even then, it’s far from a big change. With the refresh rate unlocked, it bounces between 60 and 100, but often sits comfortably at 70-75fps. On medium settings, the changes become more apparent, particularly with the drop in shadow quality. Also, while this preset has the same level of detail setting, the lack of tessellation makes a big difference, removing quite a bit of density from the foliage. Texture quality is the same as it is with the high preset, and PureHair is still turned on. Side by side, it is clearly a downgrade, yet it doesn’t feel like a huge loss of fidelity, especially if you really need those extra frames. On average, the frame rate increases by 10fps with this preset. Detail, lighting, textures – across the board things look obviously worse when we get to the low preset. 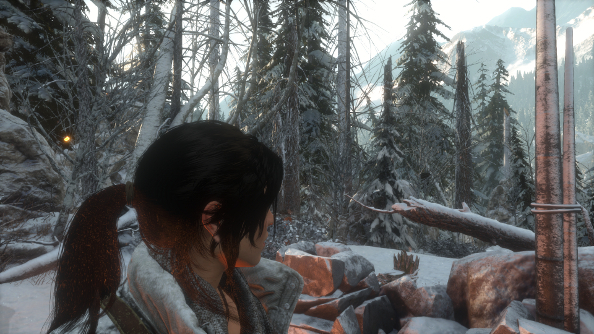 We’ve had to say goodbye to Lara’s realistic, snow-dusted hair as well. But if you’re attempting to run the game on an older rig, then this might be the best way to achieve a reasonable frame rate. 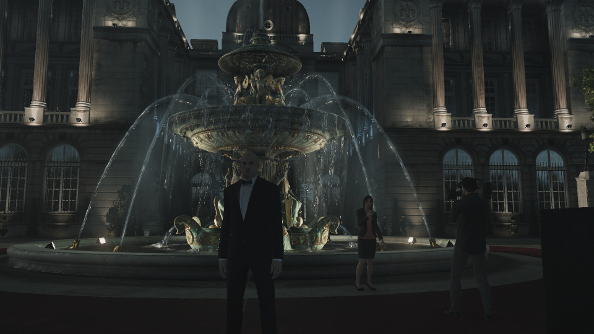 The overall reduction in fidelity bumps the frame rate up by between 10 or 20 frames. With the final preset, Rise of the Tomb Raider looks its worst, but obviously has the best performance. Ambient occlusion, shadows, anti-aliasing – they’re all turned off completely. 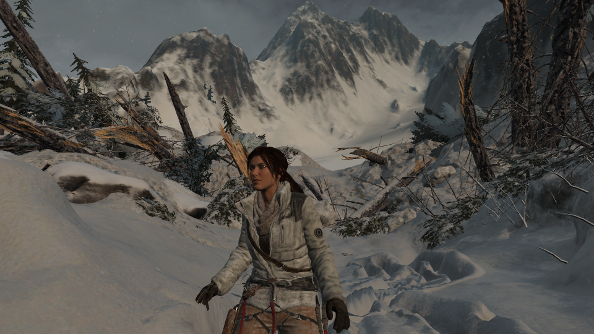 The frame rate is mostly in the low 100s for me, but out of the snow and in caves, it can jump all the way to 150fps. It’s not pretty, though, and I’m not sure it’s really worth it. After all, if you’ve got an older machine, you’re probably not expecting to get 100fps anyway. A consistent 60fps should be attainable on medium or low settings for machines that meet the minimum system requirements. I got our Matt to take a short break from writing up the full review to give us an idea of the game’s performance on a different rig. More fine-tuning can be done in the controls options, where mouse and keyboard users can rebind keys to their heart’s content. In third-person action games, I tend to favour the gamepad, however, especially if I’m on the couch and using Steam Link. 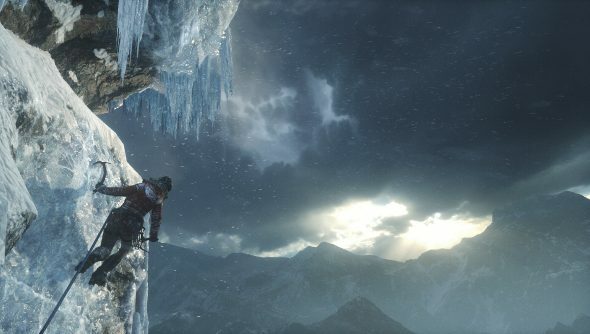 Rise of the Tomb Raider does have gamepad support, but lamentably offers no customisation or choices for anyone who chooses to play with one. The default layout if fine, but being stuck with it is a shame. If you’re playing on higher difficulties, you might consider mouse and keyboard over a playing with a gamepad, as the game drops aim assist to increase the challenge. I’ve been playing without aim assist and on a gamepad with few problems, but it was undeniably easier to quickly line up those headshots with my mouse. According to Steam, I’ve got 8 hours of tomb raiding under my belt, and in that time I’ve not had to suffer through any issues. The shadows looked strange on a mountain when I turned the shadow quality down when taking comparison screenshots for this review (you should be able to spot it in the low and medium screenshots), but that’s the worst of it. And it’s not been an issue since. Rise of the Tomb Raider is a great PC port. If you’ve been waiting for it since it launched on Xbox, then there’s no reason why you shouldn’t grab it. 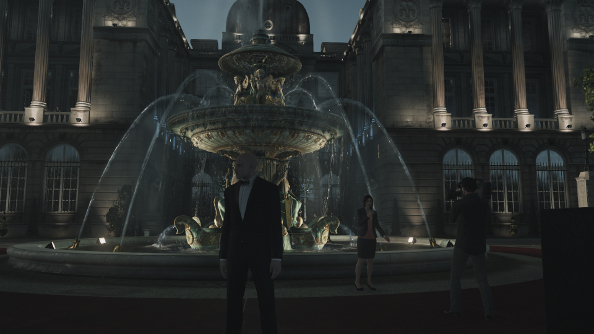 Due to the quality of the console version, it’s not a gargantuan improvement, but those higher frame rates and improvements to things like lighting do make a difference, and put the PC version slightly ahead.